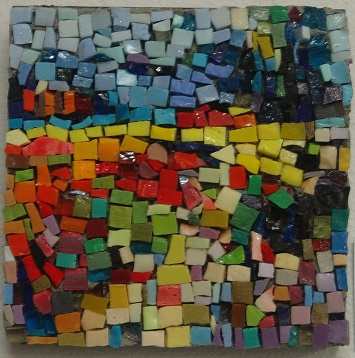 Students create a small classic mosaic in a mortar setting. Working with authentic smalti glass from Italy, Mexico and China, participants learn to cut smalti properly and try their hands at the hammer and hardie, the traditional method of cutting mosaic tesserae. Instruction covers how the glass is made and used. Tuition $105, Materials Fee $75 is payable to Instructor by beginning of class. 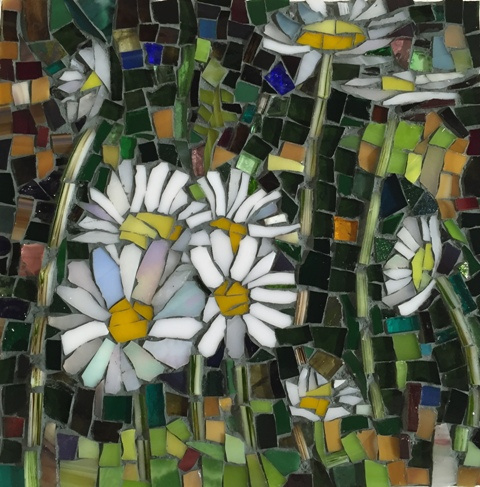 Design and create a fine art mosaic piece using a variety of materials such as glass, ceramic, stone, shell, metal and more. Planning, design, selection of materials, methods and use of tools will be covered. 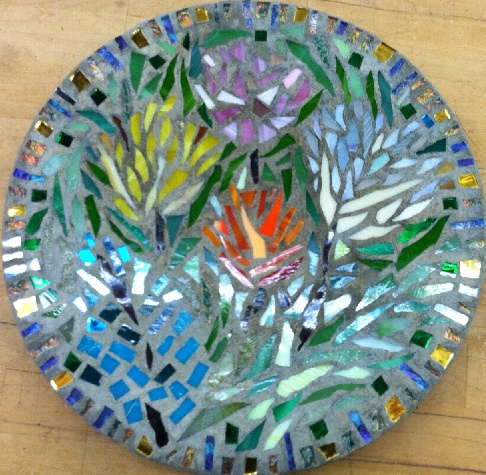 Several projects will be offered, or you may bring in a project of your choice with instructor’s approval. It is recommended that new students start with a basic piece to build a foundation. All skill levels are welcome, from beginner to expert. Supplies are provided and classroom tools will be available to use. You may also bring in findings and materials to incorporate into your work. Tuition $205, Materials Fee $90 due to instructor by first day of class.